Subprime home loans allow more prospective homeowners to purchase a home. They are another type of loan for bad credit. Perhaps you are a potential homebuyer with poor credit. Have you fallen in love with a home? Are you struggling to obtain a conventional mortgage for it? Is your credit score hurting your chances? With subprime home loans, you can purchase the home of your dreams more easily. Read on to discover the best types of subprime home loans for bad credit. Adjustable-rate mortgage loans are one of the best types of subprime home loans. At the beginning, you will have a fixed interest rate. However, that rate is prone to changing to a floating rate. When this occurs, the rate can remain flat for quite sometime. Then, it can increase. This increase can happen slowly or rapidly. Therefore, it is important that you are prepared for either. Certain lenders offer the opportunity to increase your credit score prior to the end of your flat-rate term. Take advantage of that option if given to you. In doing so, you can save yourself from additional bad credit issues in the future. Set yourself up for success and a happy home with an adjustable-rate subprime home loan. Another type of subprime home loans to get with bad credit is fixed-interest. Typically, subprime home loan terms last for about 30 years. Fixed-interest mortgages differ in their term length. Such terms last 10-20 years longer than other subprime home loans. This can be beneficial to potential homebuyers with bad credit like yourself. Since the term is longer, monthly payments are lower. Therefore, you have a better chance of making your payments on time. Budget your money wisely. If you have enough left after paying your monthly dues, you can work toward paying off your debt. Increase your credit score while paying off a fixed-interest loan. Buy a house with your poor credit score with this type of loan. Interest-only subprime home loans allow for expedited repayment. Those with interest-only mortgage loans pay the interest at the beginning of the term. Due to initially paying less, you can save up by getting lower rates. Then, you can pay off the loan quicker. However, understand that the payments are only smaller at the beginning. As the term goes on, payments grow. Hence, it is crucial that you save during the first part of the loan term. As a borrower who has struggled with bad credit in the past, this loan may be a struggle for you. Choose this type of subprime home loan if you are able to create a budget and stick to it. Additionally, consider dignity suprime home loans. Borrowers who opt for dignity mortgages typically put 10% down. Then, they must pay a higher interest rate for a certain number of years. If you choose to get a dignity subprime loan, you must make your payments on time. If you are able to do so, you can use the money you put toward interest to lower your mortgage balance. You can pay off your mortgage and even increase your credit score sooner. Moreso, after the higher interest rate term is over, your rate changes to the prime rate. Dignity subprime home loans can be very advantageous to potential homeowners with low credit scores. 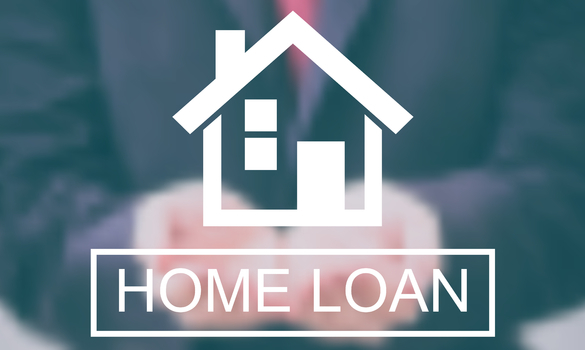 The Federal Housing Administration (FHA) loans benefit homebuyers with poor credit as well. This government-backed mortgage is secured by the FHA. Because of this, lenders have lower risk. Many lenders respond by decreasing both their credit score and down payment requirements for financing a home loan. While lenders usually demand a certain credit score, they often lend to borrowers with lower scores. Use the government involvement as motivation to make your payments on time. You may be able to find the best deal with an FHA loan thanks to government security, too. For this reason, an FHA loan is one of the best subprime home loans. Subprime home loans present numerous opportunities for homebuyers with bad credit. One opportunity includes adjustable-rate loans. Fixed-interest loans offer lower monthly payments. Interest-only mortgages allow for quick loan repayment. Consider dignity subprime home loans. Finally, understand the benefits of FHA loans. You are now aware of the best types of subprime home loans for bad credit.